Integrating Lower & Higher Self is an exploration of the lower and higher self. It is designed to explore and experience the nine matrixes of the lower self: gluttony, greed, sloth, envy, wrath, pride, lust, fear and deceit . As we come to understand how the conditioned mind operates through these matrixes, we can unveil the masks that were created to protect us, but inevitably have led to our suffering. Seeing with the eyes of honesty who we are and how we move lifts the veil of illusion and frees us to live from our higher self, which is our main source of wisdom and inspiration. 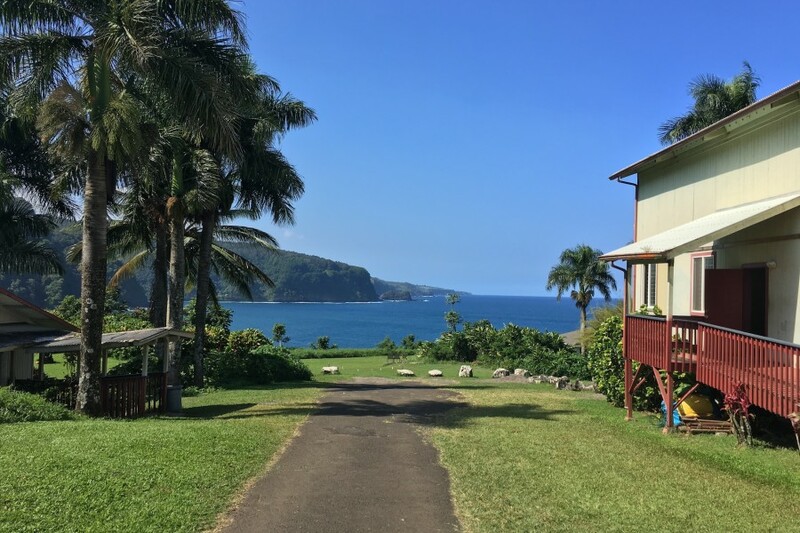 Camp Keanae is situated on an energy vortex, on a beautiful piece of land with exquisite views of the ocean and the coastline. Here you can feel the magic of Maui and the power of nature. Camp Keanae is a remote area with rustic accommodations overlooking a beautiful peninsula. You can choose semi-private rooms, dorms or camping. All accommodations have a shared bathroom. There are two bath/shower houses with separate sections for men and women. All dorms are within 50 ft from the bath houses. This semi-private room includes one king size and one queen size beds. Bed linens and towels provided. Bathrooms and shower in the bath house (50 ft away). You will share a room with another person or couple. Separate male and female dorms range from 6 to 10 persons each. Rooms are assigned on a first-come first-served bases. Each person is assigned a bunk bed. The bottom is used for sleeping and the top for storage. You may bring your own bedding and pillow, or rent a bedding kit for $45. If you prefer more privacy and more connection with nature, camping can be a good option for you. Campers need to be prepared for occasional tropical rain and bring a high-quality tent with a good rain fly. Campers can also choose to sleep in their bunks. Tents and bedding kits available for rent. If you prefer to travel light, you have the option of renting a bedding kit for $45. The kit includes, a sleeping bag, a pillow and a pillow case and two towels. You can also rent a tent for $60 (small) and $70 (large). If interested, when you register, please select the option “Bedding Kit” or “Tent rental” on the registration form. There is no internet connection at Camp. Since you will be on retreat for the entire duration of your stay, if possible, we recommend to leave your portable computers at home. Cell phone reception at Camp is random. We ask to please use your phones only when strictly necessary. If needed, there is a house phone that can be used with a calling card and for incoming emergency calls. Kahului Airport (OGG) is the Maui’s main airport. Many airlines offer non-stop flights direct to Maui. You may also fly into Honolulu International Airport (HNL) on Oahu before heading to Maui on a short, 30-minute flight. As you leave the airport, the street that you are on is called Keolani Place. Stay in the middle lane and go through the 1st light. Costco will be on your left side. At the next traffic light, turn left onto the Hana Highway (Hwy 36). K-Mart will be on your left side. Stay on Hana Hwy through Paia and Haiku. At mile marker 16, by Haumana Rd, Hana Hwy becomes Hwy 360 and mile markers start counting over with marker 1. At mile marker 16.5 “YMCA Camp Keanae” will be on your left. You will see the camp at about 3 or 4 turns of the road before you arrive at Keanae. Total travel time (depending on traffic) is between 75 and 90 minutes. Camp Keanae is located approximately 1 to 1½ hours from the Kahului airport along the ocean coast Hana Highway, at mile marker 16.5 on the left hand side of Hwy 360.